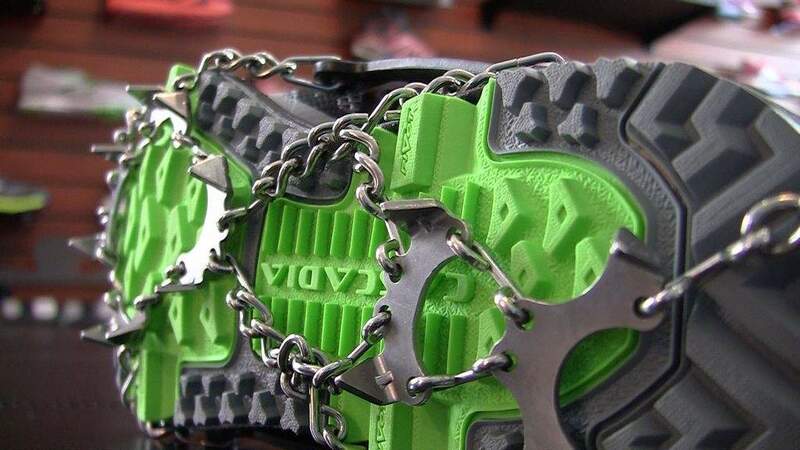 Don’t let snow and ice keep you from lacing up your running shoes this winter. 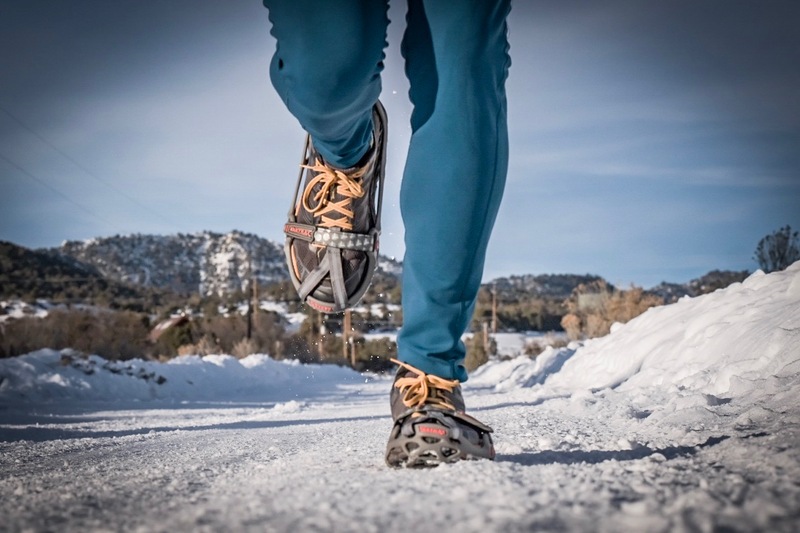 Don’t let the cold ruin your running regimen. 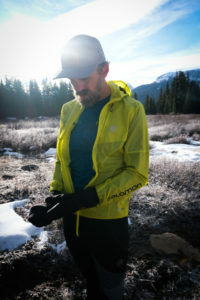 With a few smart choices for winter running wear, you can warm up in no time and stay out on the trails while everyone else is getting a good case of cabin fever. 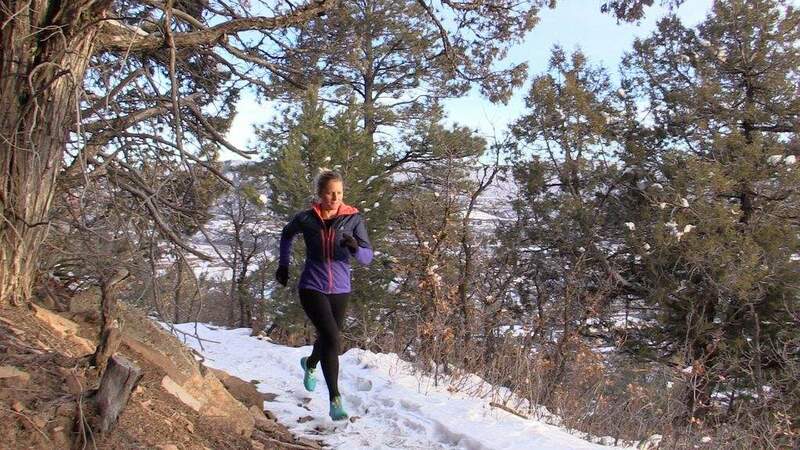 Ultrarunner, data and e-commerce specialist Liz Blair of Backcountry Experience in Durango, Colorado, says it’s all about starting out cold. “As they say, ‘don’t be silly, run chilly,’” Blair says. What she means is, if you overdress you will sweat too fast, and that will create moisture in your clothing system and make you even colder. The trick is to dress for how warm you’re going to be after you start running. “At the end of the day, if you have the right clothing, it can be a really enjoyable experience,” Blair says. Don’t overdo it. A light jacket will keep in warmth your body generates, plus it will break the wind. Photo by Brandon Mathis. “I recommend to start with a nice base layer that can go under a jacket,” she says. Many runners choose functional synthetic nylon fabrics designed to wick moisture from the skin. Others might choose merino wool, which has natural thermal and wicking properties, and it doesn’t stink. Fleece and other lofty lightweight insulators create a thermal barricade between the environment and the base layer. In today’s market, many fleece garments have added barriers that cut wind and allow runners to leave an outer shell stashed away. Tights might seem funky at first but when the temperature drops, you’ll be glad you have them. They come in various weights. Look for some with a few pockets for keys, chapstick and loose items. Think of your hands and fingers as little thermometers for your body. Photo by Brandon Mathis. While it’s your core body temperature that keeps you warm, in the cold our fingers and toes are the first to have the blood sucked out of them as we thermal regulate. A simple pair of gloves can slow that process while winter running. Most active outerwear brands market a light to mid-weight glove. Look for wind-stopping properties in colder climates, but you’ll be surprised how efficient a pair of light duty synthetic or merino gloves are. Many runners ditch other layers before the gloves come off. 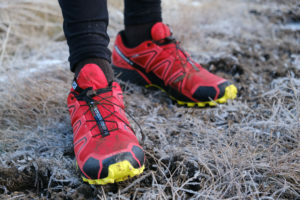 Shoes with aggressive lugs for traction will make a difference in slick and frozen conditions like these models from La Sportiva and Salomon. 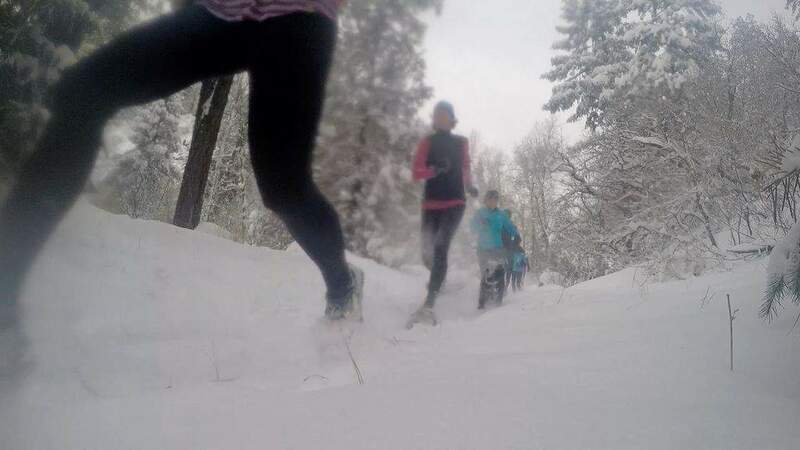 “Ice is a scary factor,” says trail runner Liz Blair. “You don’t want to fall.” Photo by Brandon Mathis. Plenty of shoemakers make snow-specific winter running shoes, but often that’s all they’re good for. 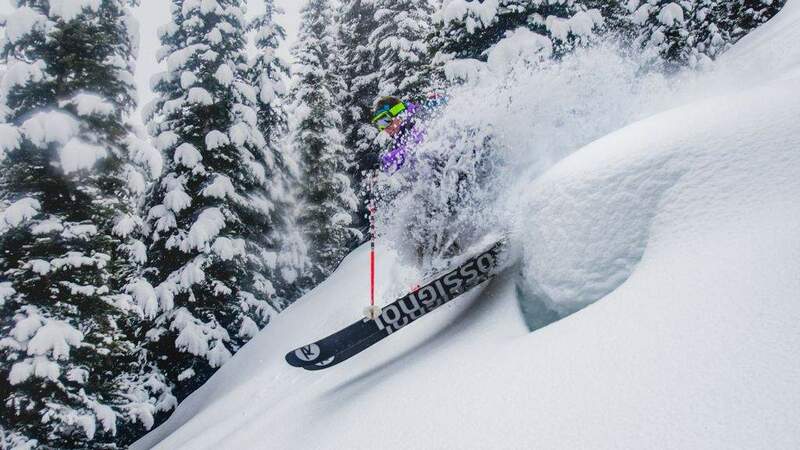 On anything other than a fresh powder day, you may be able to get away with your daily runners, although a little extra grip might not hurt.